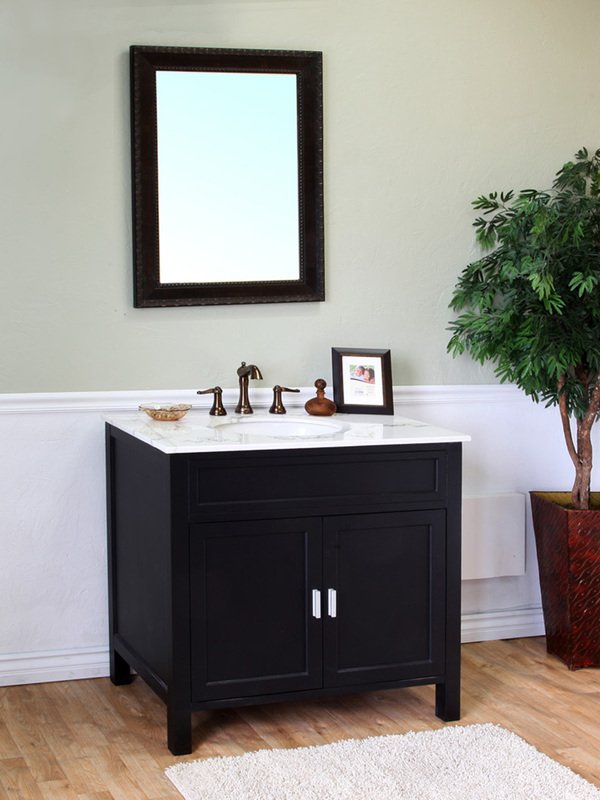 With its clean lines, black finish and nickel hardware, the Maronea Single Vanity has a great contemporary look. 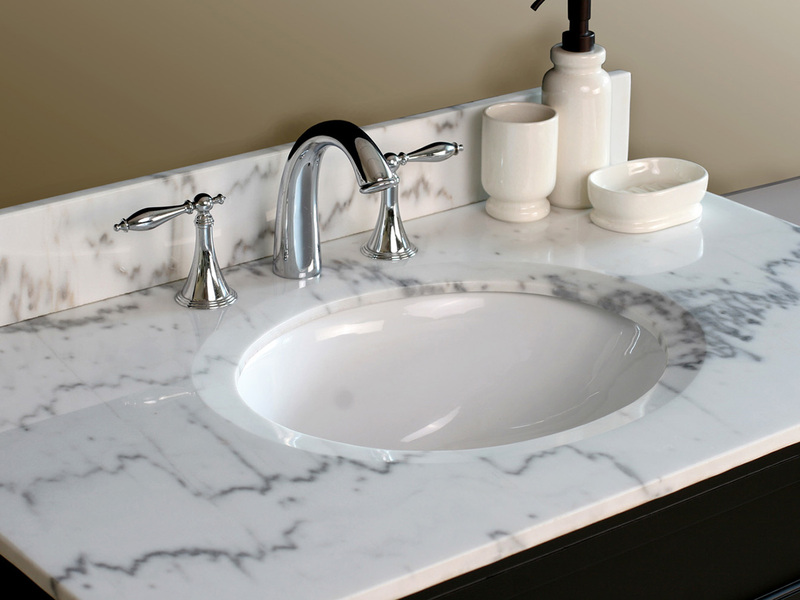 The vibrant, white marble counter top contrasts the simple, dark cabinet, giving it a look that works well with most contemporary bathrooms. 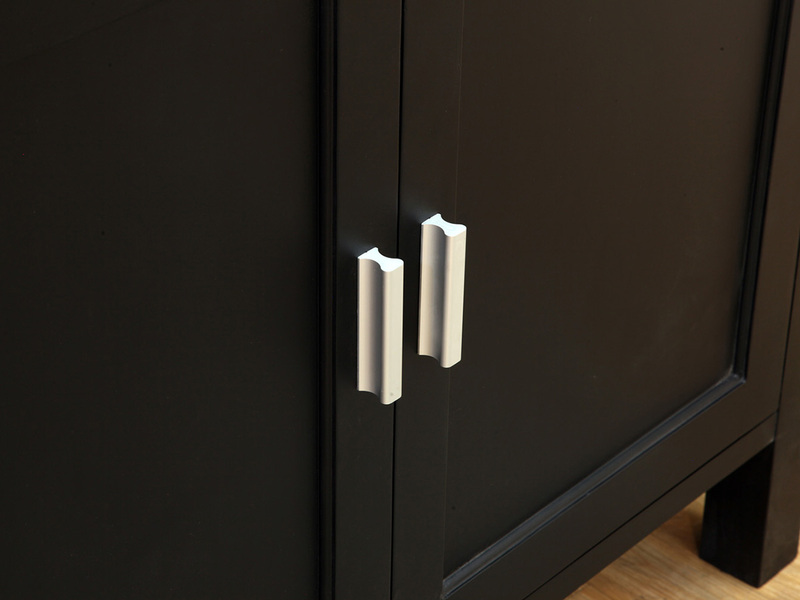 The spacious cabinet contains an interior shelf behind two doors with soft close hinges. This provides a great storage area for all sorts of bathroom supplies. 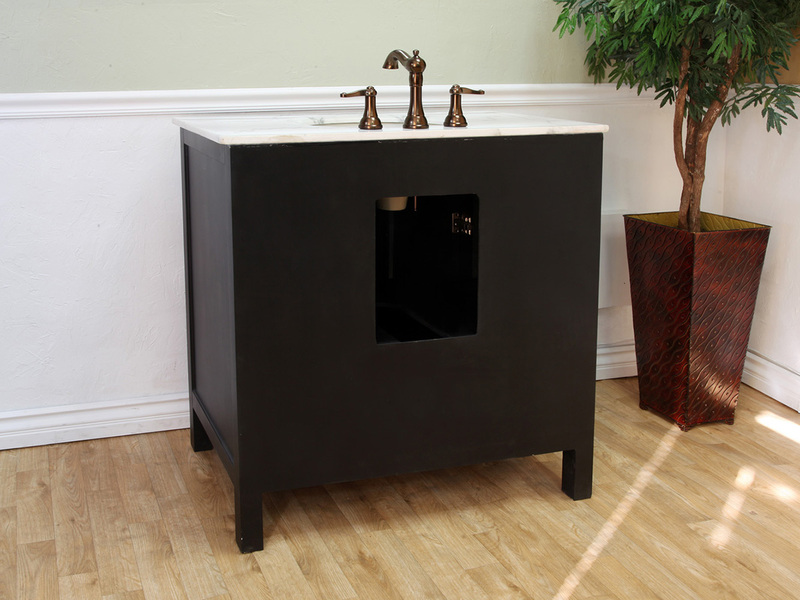 The water proof finish not only looks great, it protects the wood cabinet from bathroom humidity, preserving its look. 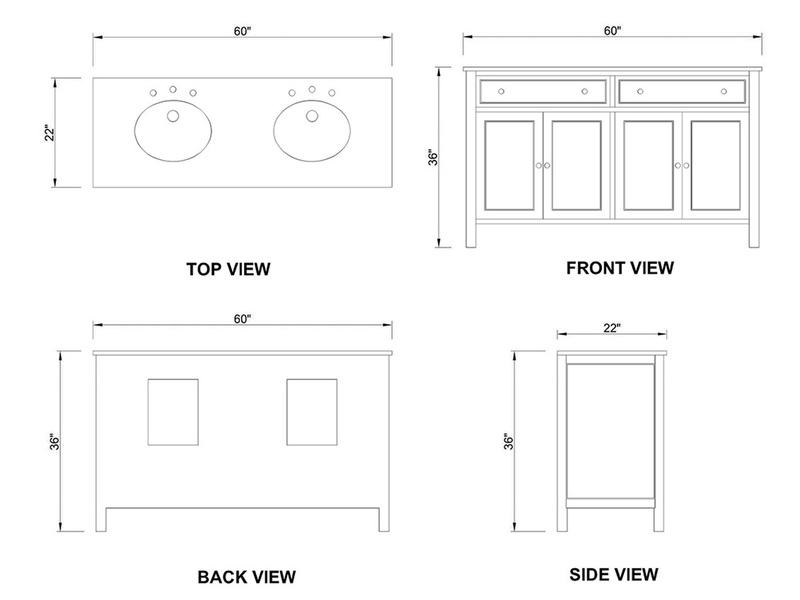 Optionally, a matching backsplash is available for this vanity through the drop-down menu.